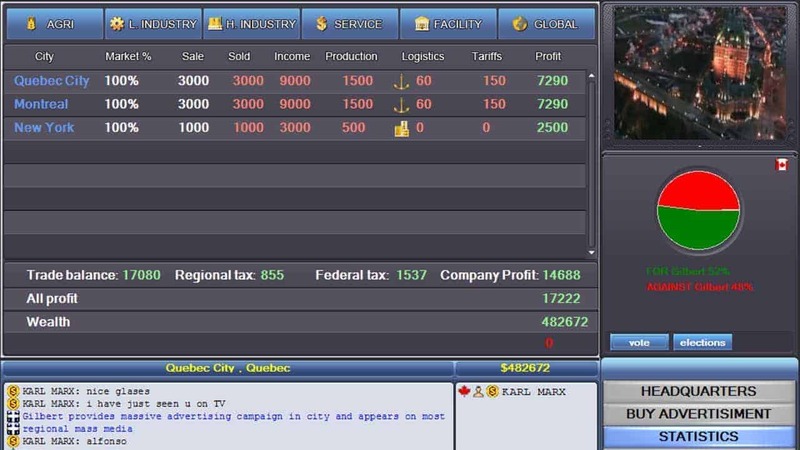 Independent Canadian game developer, Alina Digital, recently announced the open beta release of their MMORPG/MMORTS tycoon hybrid, Rise of the Tycoon. The game simulates the business and political environment of the modern day United States in a free-to-play environment that sees players beginning their journey as a regular citizen before rising through the ranks and becoming a member of the financial and political elite. Rise of the Tycoon features a huge playing world that scales across 29 major cities. It’s estimated that the travel time between the East and West coast within the game itself can take upwards of 15 minutes real-time. A hugely impressive size world for a game that primarily focuses on social and political interaction. Alina Digital released a new video to accompany the open beta release, providing players with an in-depth description on the games features as well as some information on its base mechanics.